Comfortable, made in cotton muslin --great for summer wear for little girls who like to climb trees, ride bikes, and do somersaults! 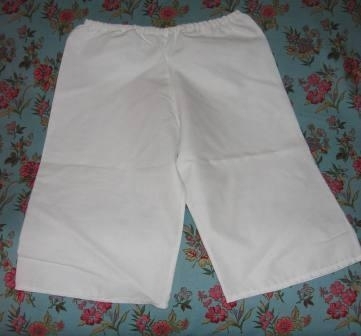 These are shorter than the ones with lace, but you can request them even shorter if you want to make sure they are shorter than your skirts/dresses. Copyright © Ringger and Company LLC. All Rights Reserved.